Kahootz is the UK company whose cloud collaboration service was chosen by the UK MOD to power their Defence Share platform. Accredited to store and share information (classified up to OFFICIAL-SENSITIVE) Defence Share now enables MOD project teams to work safely with external organisations over the public Internet. Independently assessed for security and ISO 27001 certified, Kahootz is used across the public and private sectors to support a variety of team-working activities including: bid preparation, service transformation, sharing of best practice, project boards, procurement deal rooms and agile project delivery. With an increasing need for the Defence and Aerospace industry to work together on bids, proposals and project delivery, Kahootz provides an extremely cost effective and safe environment to engage and team work with partners, suppliers, clients and key stakeholders. Deployed in minutes and procured on a pay-as-you-go basis, Kahootz is suitable for projects of any size. Kainos develop digital technology hat helps people work smarter, better and faster. We create bespoke solutions for public and private organisations all over the world, and build innovative software products that make life easier for our clients and their customers. Kaizen Institute was founded in 1985 by Masaaki Imai, has grown to a global leader in Business improvement consulting with offices in 55 locations around the globe. Our Mission is to support organisations to develop people based business excellence systems and create sustainable competitive advantage. Kaizen Institute are global leaders in business excellence techniques, Lean manufacturing consulting, New product development, Lean supply chain development, working with clients to develop best practice solutions. Kaizen Institute uses a " learning by doing" approach at all levels of the organisation. Coaching Leaders to develop and deploy effective strategies or training and coaching Team Leaders to apply "Daily Kaizen" creating daily improvement routines to engage the total workforce. We offer Strategic assessments, Value Stream Mapping, Lean consultation, Kaizen Lean training, Training and coaching. Kaman Composite Structures UK Ltd provides composite and metal bonded parts, including tooling for the commercial and military aerospace market. Together with its sister companies in Connecticut, Vermont and Wichita USA plus Goa, India it is ISO9001, AS9100 and Nadcap accredited for composites processing. Methods include lay-up, autoclave, oven curing, RTM, metal bonding, painting, and assembly. Products include aircraft doors, flight control surfaces, winglets, lightweight fairings, missile components, etc.. Kaman Tooling Ltd has opened a new 30,000sq ft Tooling centre of excellence to design and manufacture mold and rout tooling, trim jigs, assembly and transportation fixtures and work stations. This includes a new 20 metre 5-axis CNC Gantry for machining Invar, aluminium and steel. Kaman Fabricated Products Ltd provides sheet metal aerospace fabrications and assemblies for military and civil platforms. Keltie is an intellectual property firm with a unique personality. A firm that’s renowned for its excellence, earned by putting talented, energetic and principled people at its heart. Based in Europe but with global reach, we specialise in intellectual property law and management. Our clients benefit from an experienced and multi-faceted group of intellectual property experts, including patent, trade mark and design attorneys who work on a wide range of technologies across many different commercial sectors. The essence of Keltie goes far beyond what we do - it’s about how we do it. With an unparalleled spirit of togetherness, fairness and enjoyment, we want that spirit to embrace the clients we’re proud to serve, and so we work as closely and supportively with them as we do with each other. Kelvin Hughes is a global radar system solution provider meeting the surveillance, security and safety needs of the world’s critical civil infrastructure operators, border agencies, navies, coastal protection, law enforcement and military organisations. SharpEye™ radar technology is at the core of our systems providing earlier detection of the smallest of targets even in severe weather conditions with extremely low through life costs. SharpEye™ is a multipurpose surveillance and security radar sensor. A commitment to radar innovation is increasing the user’s capability through the application of Surveillance and Security technologies both on land and at sea. 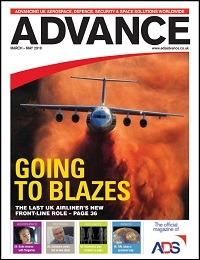 Service and material supplier to the aerospace industry. With a long history of offshore PCB logistical expertise, Kestrel International Circuits is the safe and secure value adding supplier of choice, for economically priced PCB product. Kestrel supplies Single Sided, PTH, Multilayer, Flex and Flex Rigid PCBs from high quality China based manufacturing facilities with a full range of capabilities and quality accreditations including ISO9001, TS16949, ISO14001 and UL. Kestrels ISO 9001 customer centre in Lancing West Sussex provides service, engineering, quality and logistic support for a wide range of customers and market sectors globally. Kestrel service and logistics centres in Hong Kong and Shenzhen ensure that customer requirements are proactively managed. 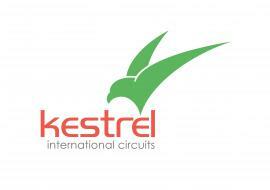 Kestrel International Circuits is a Merlin PCB Group company, one of Europes leading circuit board manufacturing groups. Key Plastics is a “One Stop Shop” solution provider offering custom manufactured solutions in metal and plastics to industries such as aerospace, medical, telecoms and engineering. Accredited to AS9100 & ISO 9001 Key Plastics have combined mould design, mould manufacture and precision engineering services with state of the art injection moulding capabilities to support their world-wide customer base. By providing full project support from concept to prototyping and validation to mass production our customers realize not only a streamlined procurement process but are guaranteed a competitively priced solution, on-time deliveries at superior quality levels. Key Plastics is in operation since 1986 and employing over 40 people. Full in-house design capabilities including 3D Modelling and prototyping backed up by full CNC tool-room. Engineering capabilities include CNC turning, 5 axis milling, CNC spark erosion and laser welding. Injection Moulding Machines range in size from 50 ton up to 830 ton. All machines are fully automated with robots and material feed systems. Key Plastics can accommodate both large and small batch production orders from metal engineered parts to plastic moulded components. Specializing in moulding of high-end engineering thermoplastics, precision engineering of steel components and supporting the build for aircraft interiors in the UK. Keystone Law is a commercial law firm with particular expertise in aviation within its 250 lawyer network. Kier Group is a leading construction, services and property group specialising in building and civil engineering, support services, commercial property development, structured property financing and private and affordable housing. For over 60 years, Kingsbury has been supplying the finest German built Machine Tools to many facets of Industry. We have assembled a first class technical team that have been trained to the highest standards. The provision of excellent service is the cornerstone of our organisation. We offer a wide range of equipment from eight leading manufactures, backed up by an applications and service team that is second to none. We represent the following list of Principles: Index Traub- Turning Machines, Hermie-Vertical |Milling Machines, Haas Schiefmaschinen- Multi-axis Grinding Centres, Burkhardt and Weber- Horizontal Machining Centres, SHW-Travelling Column and Universal Machining Centres, Waldrich Coburg- Large Gantry Type Milling and Grinding Machines as well as Vertical Turning Centres and Zimmermann- Portal Milling Machines.